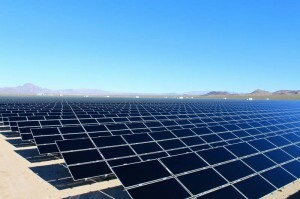 The photovoltaic power industry is well established in many regions and despite the sometime negative perception the end user demand in 2011 was strong and the total market for new installations passed the 26 GW mark according to IHS iSuppli. Italy nearly doubled its capacity in 2011 to 6900 MW, Germany led with 7500 MW, the USA was third with 2551 MW and China is coming up fast in 4th place with 1856 MW. 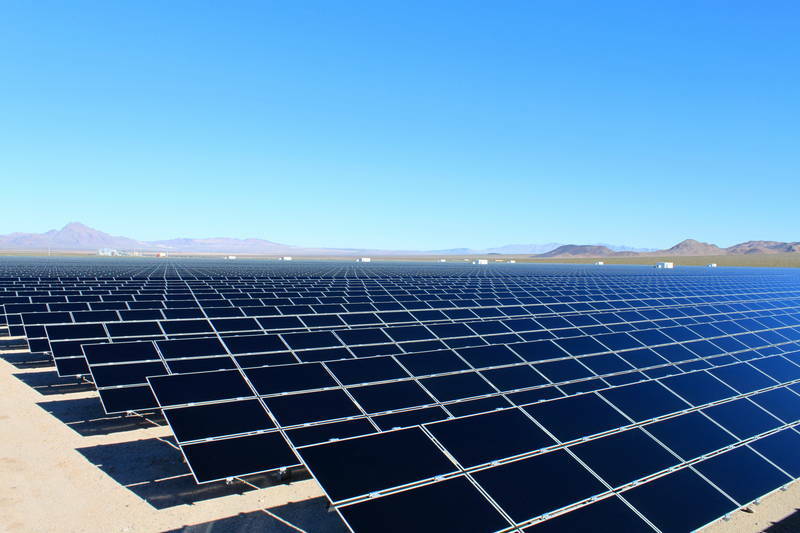 The company expects around 23.6 GW to be installed in 2012. The US, China and Japan are all expanding markets. There has been overcapacity leading to a fall in price: crystalline silicone modules are expected to drop to below 0.6 Euros/W (0.80$/W). Manufacturers have to adapt to survive. The up side is that there is no longer always a need for feed in tariffs. Overall the PV industry is “still in the cowboy stage – it can grow and decline very fast as happened in Spain and the Czech Republic”. Henning Wicht delivered this talk at the start of AMI’s Polymers in Photovoltaics 2012 conference in Germany. A survey by Photon showed that the polymer industry has grown with the photovoltaic industry, for example the number of backsheet manufacturers has risen from 4 in 2005 to 22 in 2011. As PV is a relatively young industry, durability is a constant topic of discussion. In terms of bankability, the insurers want a 25 year lifetime and warranty. Oerlikon Solar is involved with setting standards for modules and sees faults from aspects such as poor design, off-spec materials and faulty process controls. There are regional differences in causes of module failure and other factors include the mounting, which can generate a microclimate. Dr Ronald Lange is focused on innovation in module manufacturing, which has been limited by use of the same production machines and processes in each plant. Innovations include cutting lamination time, and the use of polymers as alternatives to other materials. For example a module with plastics for the frame, seal and mount and only 2mm glass from TULiPPS Solar System Solutions. It is also possible that the tray could be outsourced to injection moulders. It may be easier to trial innovations in ground applications rather than in building and construction where the regulations are much tighter. The first generation of backsheets for crystalline silicon PV modules were TPT i.e. Tedlar (PVF from DuPont )-PET-Tedlar. The PET layer provides electrical insulation and mechanical strength while the PVF offers weatherability and opacity. The market moved away from this structure initially due to the limited availability of fluoropolymer and more recently due to cost. The Japanese pioneered all-PET backsheets with two layers of PET and an inner layer of EVA. The outer layer must be hydrolysis and UV resistant. The next generation of PV will be flexible cells and this will push the limits of plastics materials. DuPont Teijin Films is the top global manufacturer of polyester films with sales of US$1.1 billion and production capacity of over 280,000 tpa. The company is leading research in PET films for PV looking at raising properties by orienting films, using planariser coatings to improve barrier properties and other aspects. The Weather-O-meter has been used for weathering testing: 10,000 hours is equivalent to 5 years in Florida, 11 years in Northern Europe and the Scottish speaker joked that this would be about 30 years in Scotland. PET can be subject to hydrolysis so new materials are being developed using capping agents to mop up the carboxyl end groups. There is industry demand for higher performance PET films beyond the standard 1,000 hour damp heat test to 2 or even 3,000 hours. PET is regarded as a cheap option and it is being pushed to its performance limits. Feron received the Intersolar 2011 award for its new backsheet design. There is an interlayer adhesive in most backsheets, which can be the weakest link and cause delamination. HelioX PV is designed to overcome this problem. The company entered the market when the limited supply of PVF opened up the market. It is part of the group discussing IEC 61215, 61646 and 61730 backsheet standards. The Italian backsheet producer Coveme, has reviewed the types of backsheet materials and the move away from PVF, which was first used 50 years ago. There are now 112 different types of backsheets. In 2007 more than 90% were based on PVF and that dropped to 40% in 2011. Other fluoroplastics are taking market share including PVDF, PTFE, ETFE and ECTFE. Module manufacturers want a plentiful supply of material and this has driven new backsheet developments. In Japan PET backsheets have been in use for over 25 years. Coveme predicts that with the price pressures on the market the backsheets will drop to around US$ 5 per square metre in 2013 from US$6.5 in 2012. Waterproof membranes are roof mounted and exposed to weathering just like many PV panels, so when the manufacturer Renolit entered the PV backsheet market it had full understanding of the operating conditions. Its latest product is based on flexible polypropylene and has integrated adhesive and is weldable to attach the junction box, mounting hooks and frame. This sheet is produced by coextrusion-lamination and a non-peroxide cured polyolefin encapsulant can be added by lamination. One special advantage is the permeability to by-products like acetic acid, which can migrate out of modules. New front sheets with a relief textured cover have been developed for PV panels by SolarExcel in the Netherlands. This innovation came as a response to the issue of reflection of much of the sunlight that hits PV panels, particularly with shallow angles of incidence. Anti-reflection technologies are widely used at the component level such as coatings on wafers. The new sheet from SolarExcel is applied to the glass front as a foil or topcoat and is claimed to eliminate all individual component reflection losses over all wavelengths. The materials used are acrylic and an anti-fouling fluoropolymer coating. The frames of most modules are metal, but BASF has an alternative light-stable polyurethane. The production process can be standard reaction injection moulding (RIM) or a new window spray technology (WST) developed for the automotive industry. In RIM the panel is positioned in the mould for a 30 second reaction time and then demoulded. In WST a PUR sealing is applied around a solar panel using a spray gun after priming the glass: there is no trimming and there are low tool costs. The system gives much greater design freedom such as roof integrated shapes and coloured, flexible frames. Weathering and ageing are critical factors in PV life. The University of Savoie has been carrying out research with the energy company EDF and has used infrared and Raman microscopy to examine the accelerated ageing of polymers in PV by heating at 2000h at 80C and 85% relative humidity (RH). After this procedure the material was examined for chemical degradation, UV-visible light absorption and degradation by layers. The technique was able to see changes in the material and monitor additive levels, for example in the fluoropolymer layer there was an increase in oxygen (C-O and C=O). The overall goal is a 30 year lifetime for a module. Similar work has been carried out at the EPFL IMT photovoltaics laboratory in Switzerland to find the best encapsulant material for thin film silicon modules. These devices use around 100 times less silicon and are much cheaper to produce at less than 60 Euros per square metre compared to conventional modules at 170-300 Euros. The researchers point out that the operating environment should be considered when selecting the polymer type. Temperature cycling is the commonest cause of failure at around 24%, damp heat 17%, with humidity freeze at 11% and load at 9% (source TUV 2009). Encapsulant is the protection against many environmental factors: EVA, PVB, ionomer and silicone polymers were evaluates for a series of performance properties such as wet leakage current. In the course of this study a new compressive shear test has been developed for adhesion. There are issues with fake modules in the marketplace estimated at 7-10% by TUV Rheinland, which has reviewed techniques for identifying genuine components. Serial numbers help as they identify when and where a module was made, so materials can be checked against the production schedule (it is common for manufacturers to list alternative materials suppliers so that they are not limited by supply). In India RFID is mandatory to identify modules: there are plans to install around 20GW of solar power by 2022. Scannable laser marking, ingot marking, isotope marking and material identification through optical methods are all options and TUV has developed its own PACS system. Momentive Performance Materials is supplying silicone for encapsulation. In tests it was better than EVA at light transmission, had lower moisture levels and better dielectric strength. In tests with a white silicone back encapsulant and a transparent front encapsulant, energy production was up by 5%. The material has lower curing temperature and modulus, thus reducing the mechanical stress levels in a module. Performance in damp heat conditions is much better than with EVA. A company set up to develop coatings for aerospace, MAP in France, has developed a liquid-applied silicone encapsulant for PV specifically for low concentration PV where Fresnel mirrors are used to concentrate light. The module operates at a much higher temperature of around 150C and therefore more degradation can occur, so silicone offers advantages over EVA in this setting. MAP has produced a thermally transmitting silicone adhesive too. Axiosun has produced modules using these materials. The standard EVA in use is around 32-34% VA content with crosslinking from peroxides, silanes for improved adhesion, antioxidants and UV stabilisers. The crosslinking process is vital for long-term thermal performance and hydrolysis resistance and takes place during vacuum lamination: it needs to be fast to reduce the chance of bubble formation from the decomposition gases. EVA encapsulant is produced by extrusion with a thickness of 0.3-0.8 mm using equipment from companies like AMUT SpA. This involves inline gravimetric feeders for EVA granules, liquid and dry additives, and a screw which ensures quick mixing at low shear and temperatures below 98C. The Scottish Institute for Solar Energy Research (SISER) at Heriot Watt University in Edinburgh has experimented with luminescent materials to improve energy production. Current modules make poor use of low wavelength light, so the idea is to add a spectral conversion layer that shifts the short wavelengths so that the light can be used productively (luminescent down shifting (LDS)). Fluorescent organic dyes like perylene can be incorporated in a top PMMA layer on the module, or in the upper encapsulant EVA. The colours can add to building design aesthetics. There are prospects for printable photovoltaics in the future using organic photoactive polymers produced by companies like Merck. These offer flexibility, low cost and low weight, once the technology is fully developed. The latest polymer is royal blue with absorption onset at 750 nm. A new organisation Innovation Lab GmbH has been set up with partners including Merck, Roche and BASF to develop organic electronics including printing and coating methods. Dr. Moazzam Ali at Chemnitz University is working on cheap, printable instant photovoltaics, much like plant leaves, which are 3-7% efficient and last less than a year. There are three roll-to-roll steps in the production process, the substrate is paper and the active component is polymer-fullerene. The technology for solar photovoltaic power is continuing to develop to reduce costs and enhance long-term performance, with the evidence indicating that it may be optimal to select specific materials for different environmental conditions. Design is becoming a feature too, with colours, shapes and flexibility all coming into the marketplace as options, which will encourage integration in buildings and other structures. AMI is organising a forum to debate the next generation developments in Polymers in Photovoltaics from 16-18 April 2013 in Cologne and all are welcome to contribute to the debate.